On 31 March, millions of Turks flocked to the polling stations across the country to cast their vote in local elections, with the ruling AK party set to lose control of the key centres of Ankara and Istanbul. Lucas Irisik explains the significance of the results for the economy and the troubled lira. The vote marked the first local election to take place under the new presidential system that was adopted following the April 2017 national referendum. Given the high participation rate (ca. 83.3%) and a sizable eligible voters' base (ca.57m), the local elections were effectively considered a referendum on President Recep Tayyip Erdogan (and his AK Party, which is now part of governing People's Alliance). 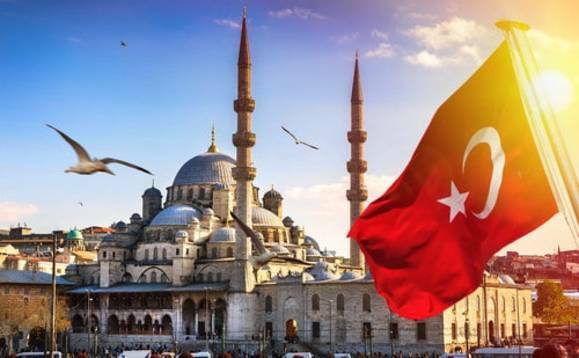 In line with expectations, the major coalition partner saw its popularity wane, which considering the current economic hardship (economic recession, high inflation, rising unemployment and a volatile and weak Turkish lira) is not surprising. The preliminary results saw the AK party lose its mayor in the capital of Ankara (second largest city in population terms), marking the second heavy defeat, following the loss of mayoral seat in the third-largest city of Ismir, already during the local elections in 2013. Istanbul, where Erdogan himself once governed, is still too close to call, as votes continue to be counted, but the latest results suggest the candidate from CHP (main opposition party) appears to be inching ahead of AKP. The saying goes, "whoever governs Istanbul governs Turkey", thus the loss of power at a local level in major cities (including Istanbul) could mark the beginning of the end of Erdogan's 16-year rule of Turkey. In the run-up to these elections, Turkey (and more Turkish lira-denominated assets, per se) experienced a tumultuous fortnight. Voter approval ratings were starting to wane leading up to Sunday's elections, amid deepening stagflation, rising unemployment and an abundance of cheap Syrian workers, who in great numbers (ca. 3.5mn) sought shelter in neighbouring Turkey. In order to prevent further discontent, Turkish authorities allegedly stepped up their effort in mitigating Lira volatility, at all costs. The latter saw the very limited stock of FX reserves shrink further by a third, putting the lira under renewed pressure, which was only seen in a recent episode of crisis for the Lira in August 2018. In order to prevent short selling (speculative attacks on the currency), Turkish policy makers engineered a US Dollar liquidity crunch domestically, and lira liquidity shortage externally, driving the overnight interest rate on FX swaps to levels not seen in decades (in excess on 1300%) effectively temporarily shutting down the FX market, and thus making betting against the Lira prohibitively expensive and/or infeasible. More recently, the market appeared to have ‘normalised', with rates on o/n Lira swaps dropping to a ‘mere' 40%. Yet the reputational damage and investor confidence, and in turn a likely economic cost, will be felt for some time to come given the functioning of capital markets and predictability of policy making is one of the key considerations for any country's creditors. The vote on Sunday represents the last scheduled elections to be held until late June 2023. Erdogan ought to take this opportunity to use up his political capital (or what is left of it) to try and restore investors' trust by improving credibility of policy mix. This in time will be instrumental in bringing inflation under control, restoring broad based and balanced growth, leading to currency stability and cause a reduction in external liabilities. The road ahead will inevitably be rocky particularly given Erdogan's latest rhetoric towards financial market practitioners which wasn't short of hostile and resentful. Rebuilding investors' trust (which clearly is paramount considering the country's large external financing needs) isn't likely to happen overnight. This in the meantime places further pressure on lira-denominated assets and warrants caution when investing in Turkish domestic assets. Also a marked loss in popularity, as clearly evidenced by a significant loss of votes in key major cities, could in fact push Erdogan into adopting a more populist agenda, which will prevent the economy from reaching sustainable growth dynamics, with high inflation and current account deficit at its core.